We usually give a little personalized gift to my daughter’s favorite teachers from the previous years. This year, we decided on hand-drawn glasses. Using Pebeo Vitrea markers, my daughter drew some fun designs and plain pint glasses. 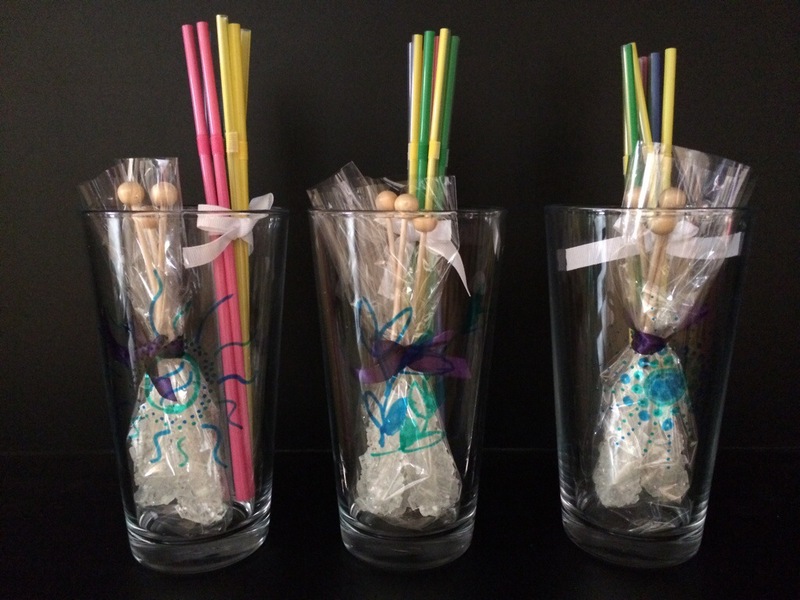 We then made them into summer drink kits by filling them with straws, rock candy stir sticks and cold brew iced tea bags.